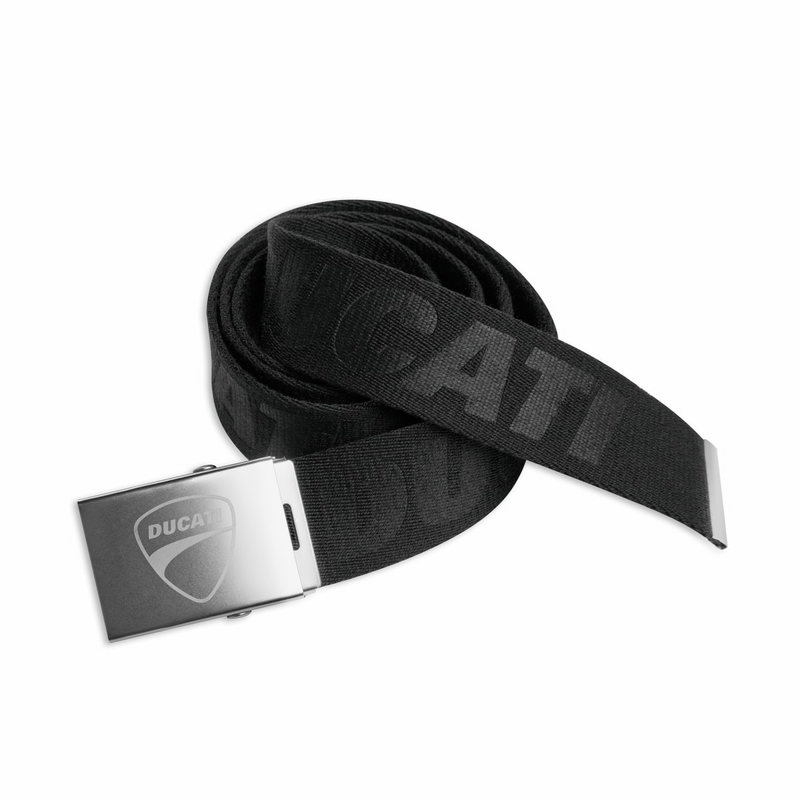 Fabric belt with heat-pressed Ducati personalisation. Buckle fastening with military system and engraved Ducati shield. Available in one size, adjustable to fit all.